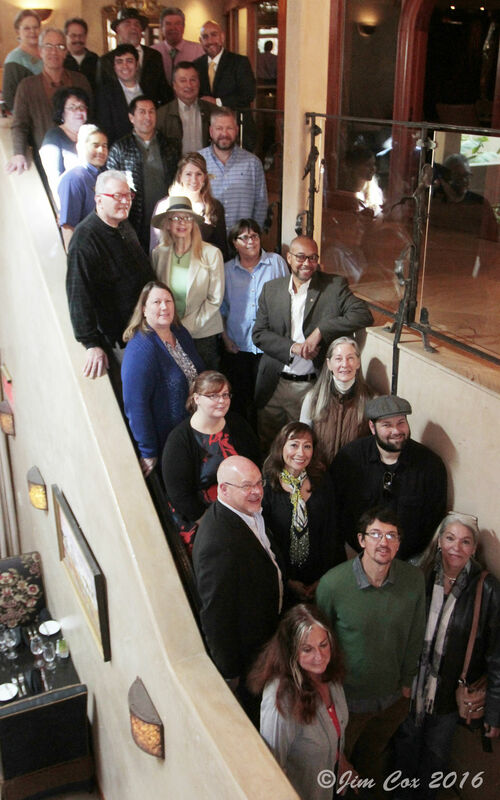 As the largest business organization in Taos County, the Chamber serves as a lead advocate for business issues, representing the interests of business to local, state and federal governmental leaders. Chamber activities include consistent interaction with the Town of Taos and Taos County about issues that affect the business community. As a member of the Taos County Chamber of Commerce, your business is our priority! A business thrives on referrals, and the Chamber makes them happen every day. We field thousands of inquiries, from visitors and locals alike, looking for reputable vendors and service providers. Be it in person, over the phone or via email, we refer these potential customers only to Chamber Members! The Chamber sponsors several events throughout the year that provide opportunities to establish and strengthen relationships with other community members, such as our monthly Mix & Meet. On the second Thursday of each month, a Chamber Member hosts a gathering at their location, providing a social setting where you can meet other chamber members, exchange experiences, ideas and resources and network within your community. By choosing to host a Mix & Meet provides exposure and publicity, and allows others to experience what your unique business has to offer. Our Chamber Website is your Chamber Website! With over 5,000 visitors a month, the Taos County Chamber of Commerce Website provides invaluable exposure and advertising for your business. Not only will your information be listed on the website, you will also receive a Login Name and Password allowing you administrative access to add, edit or update information on your business. The Business Directory Listing offers invaluable exposure and advertising for your business. We will post your contact information, a description of the products or services you offer, hours of operation, and driving directions. Potential customers have the option to search by category, by business name, or by keyword search. Increase the attendance on your next event! Inform the community of any upcoming special events by posting the date, time and details on the Chamber Website Events Calendar so all viewers know what is going on at your business. Staffing your business is one of the most important tasks as a business owner, and can be one of the most difficult. With the Job Postings option on the Chamber Website, you can list your employment needs, and get the word out to the community that you are looking for reliable employees. Having a discount or clearance sale? Offering special off-season prices? Advertise your special offers or sales under the Hot Deals section of the Website. Be in the know with the Taos Chamber Monthly eNewsletter! We send out an email to keep Members current on the latest Chamber news. Access everything that is happening in town that month, in business and in entertainment. Write your story for the monthly eNewsletter to share news about your business, stories and graphics published at no charge and sent to over 1000 email boxes of members! Your information will be featured under the Directory Listing in this high-quality, comprehensive guide featuring over 150 pages of information relevant to anyone interested in visiting or relocating to Taos County. Published biannually (in the summer and fall). A Chamber Member Directory is listed in this glossy, full color magazine which targets people interested in relocating to Taos County. Features information on real estate, arts and activities. Published biannually. Often advertising is an expense you know you need, but your budget just doesn’t allow for. Throughout the year, the Chamber will make advertising cooperatives available to our members so you can be part of a bigger picture, whether it’s in newspapers, magazine or on the radio. Offers vary by publication and broadcaster.